One thing is for certain: we love to travel. Another thing that’s certain? We have a soft spot for New York. There’s no city quite like it…if you want it, New York likely has it! Great entertainment, tons of museums and fun neighborhoods for exploring…and lots of great food that fits any budget. 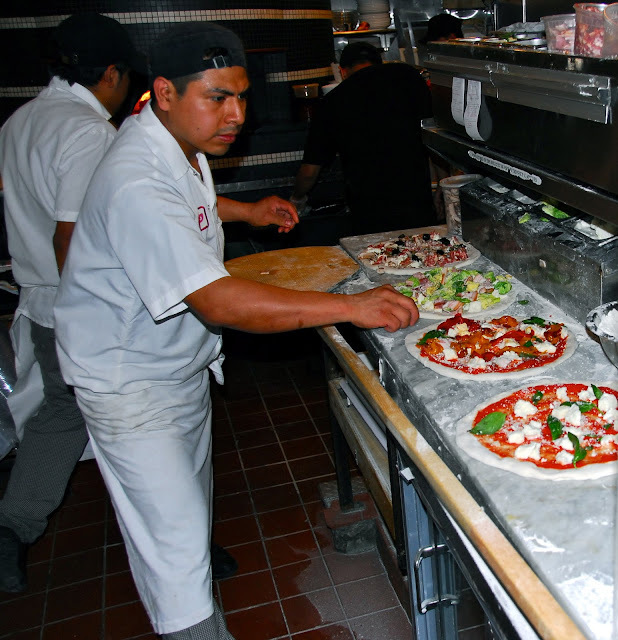 You can find everything from hot dogs from a street vendor, to pizza and deli fare, to world-class fine dining. Literally any type of food you could ever want is at your fingertips -- day or night! Michael and I arrived in New York a few weeks ago with one goal: have as much fun and eat as much good food as we could over a four-day period. 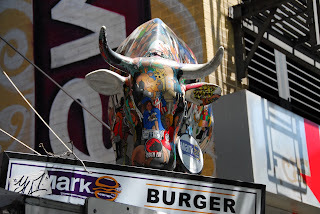 As you’ll soon see, we managed to eat our way around Manhattan – north, south, east and west. A small disclaimer: New York is too big to possibly visit every iconic or delicious destination in only a few days. That said, we visited some of our old favorites, and we found a few new culinary delights. I'm so excited to share them with you! Our hotel stay for this trip was provided by the Library Hotel Collection, which is comprised of four fabulous boutique properties located around Manhattan. We stayed one night at each of their beautiful properties, and I have to say that all of them really impressed us with their attention to detail, friendly employees, gorgeous décor and customer-focused amenities. We arrived at The Library Hotel the first morning and dropped our bags for them to store before heading out for the day. 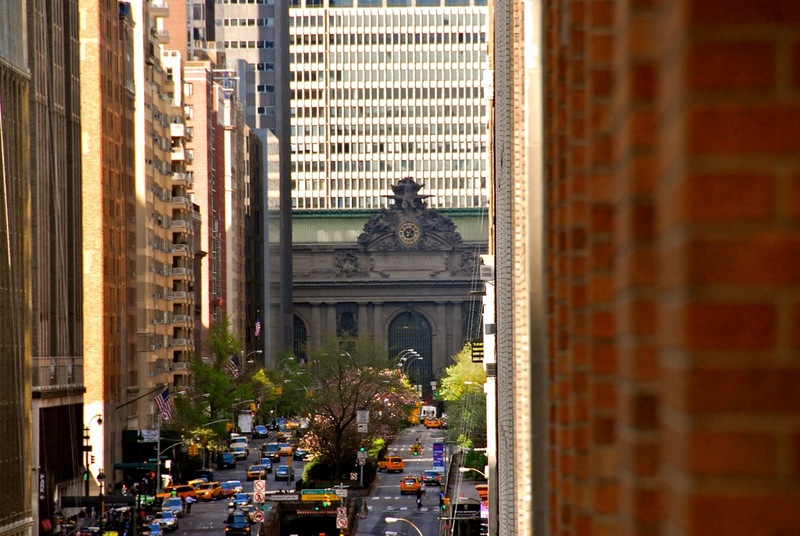 The Library is located a few blocks from Grand Central Station and within walking distance of many Midtown landmarks. 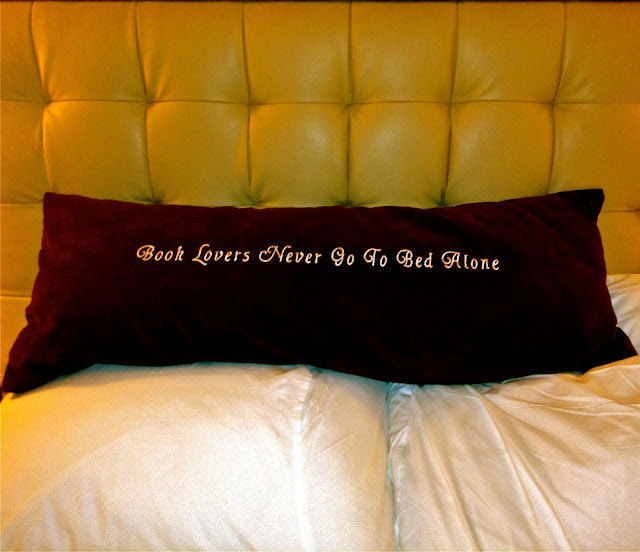 For book lovers like myself, this hotel is a true delight. It features a Dewey Decimal System decorating scheme, and literary references are around every corner. There's also a light and airy Reading Room on one of the upper floors that contains books that guests can read while they enjoy complimentary coffee, tea, cookies and fruit. From the moment you walk into the lobby and to check in, the charming library motif is evident. Each of the 10 guestroom floors corresponds to one of the 10 categories of the Dewey Decimal System, and each of the 60 guest rooms are decorated with books and art that fit within the category it belongs to. For example, we stayed on the 8th Floor: Literature. We were in Room 800.002, Classic Fiction. Inside our cozy room was a collection of books that corresponded to our room’s theme. What a nice touch! 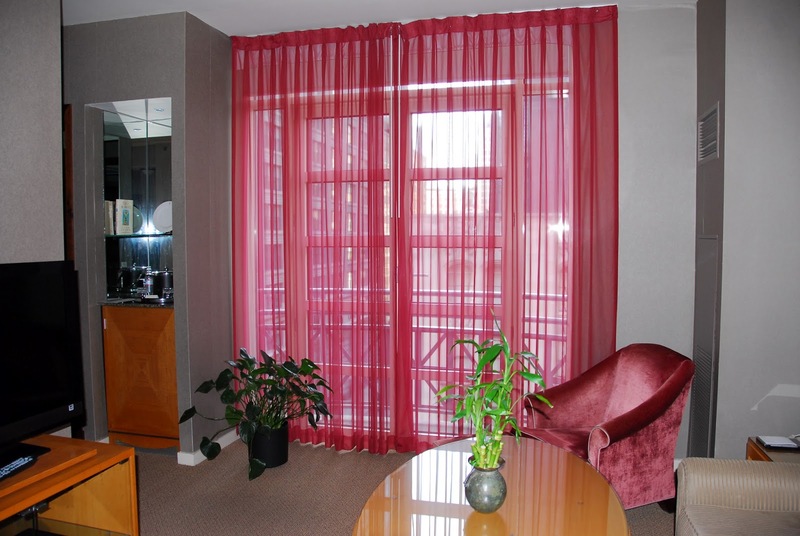 The room was tastefully decorated, and the bed was very comfortable. The finishing touch was a whimsical pillow on the bed. Traveler’s Tip: All hotels in the Library Collection include free in-room WiFi, an afternoon wine and cheese reception, expanded continental breakfast, and complimentary business centers. Those little touches make you feel like you’re staying in someone’s home, not a hotel. Our first meal was breakfast at Norma’s, located inside the Le Parker Meridien Hotel. Their breakfast is considered one of the best in all of New York, so we were excited to pay them a visit! While we looked over the extensive and creative menu, we enjoyed a glass of delicious fresh-squeezed orange juice and a complimentary shot of the day’s featured fruit smoothie. 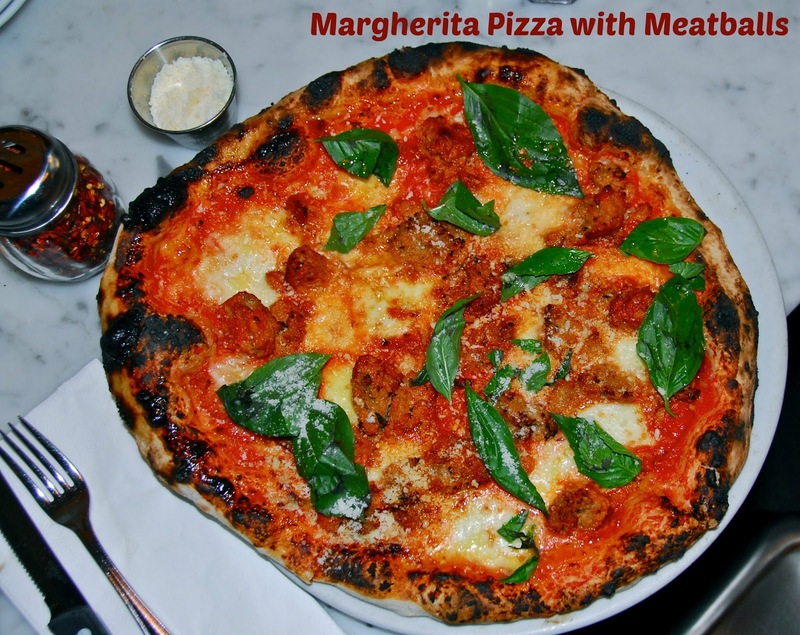 Norma’s is known for its large portions, so we opted to share one sweet dish and one savory dish. 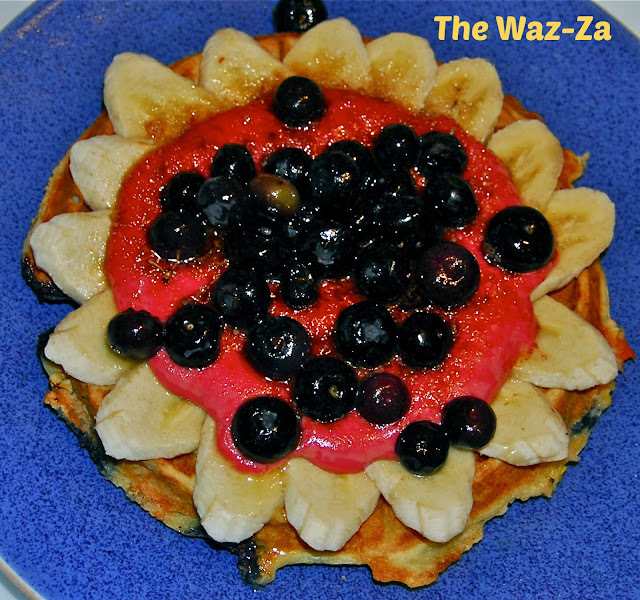 We ordered their signature Waz-Za: a crispy Belgian waffle topped with rich and fruity raspberry hollandaise, sliced bananas and strawberries, and blueberries -- then bruleed on top. This waffle creation was rich and decadent, perfect for sharing. For our savory selection, we went with something spicy: Normalita’s Huevos Rancheros, which was full of our favorite Tex-Mex flavors. 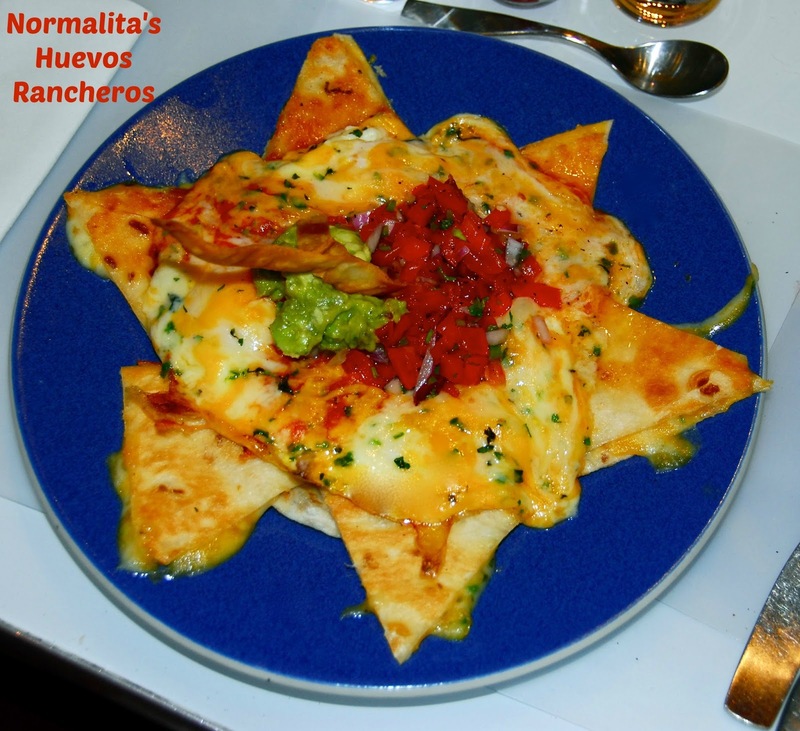 A base of crispy tortilla triangles was topped with refried beans, cheese, over-easy eggs, guacamole and fresh-made salsa. The spice level was perfect, and all of the flavors worked perfectly together. We left agreeing that Norma’s is a must for any New York vacation. It was the perfect way to fuel the first day of our big-city adventures! After a bit of exploring on the Upper East Side, we returned to The Library to recharge our batteries and get cleaned up for a romantic date night. 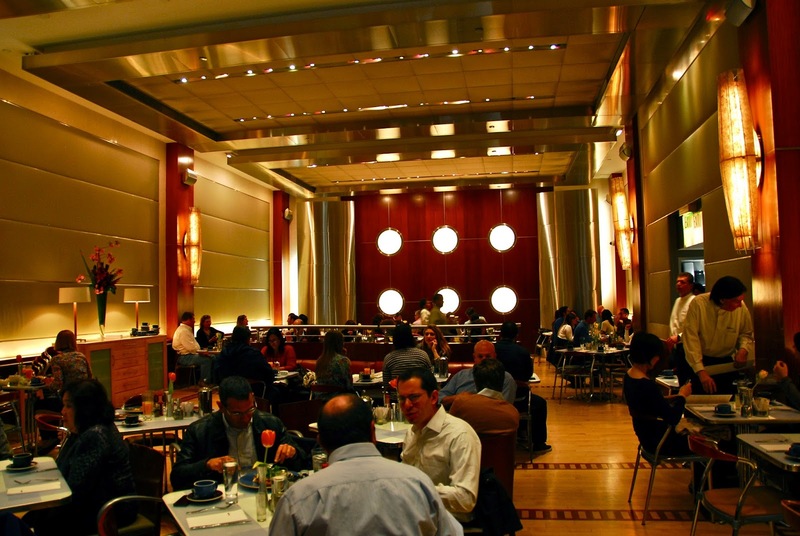 Our date night included dinner at The Palm One, an evening of jazz featuring Wynton Marsalis & The Lincoln Center Jazz Orchestra and a post-show dessert tasting at Thomas Keller’s per se. For full details of our evening, you can read my previous article, A Swinging New York Date Night. We arrived back at our home base well after midnight. It was time for some much-needed rest. We had a full slate of activities planned for the next day, so we had to hit the ground running. I woke up ahead of Michael the next morning and visited the hotel's breakfast area to pick out a few goodies for us to enjoy in our room while we got ready. We shared a selection of bakery-fresh pastries and fresh fruit, which provided plenty of energy for the morning’s activities. Before I grabbed our breakfast, I took a moment to take in the gorgeous city view that was just outside the breakfast area. What a fabulous way to start the morning! Our first stop of the morning was to drop our bags at our next destination, The Giraffe Hotel. 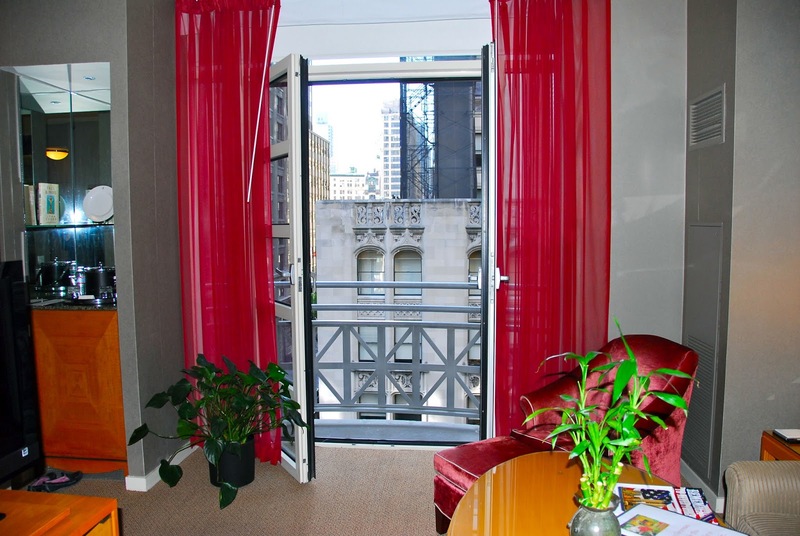 The Giraffe is located just south of Midtown, within easy walking distance of many great attractions, including: Madison Square Park, the Flatiron Building and Eataly. I really loved this hotel…it’s open and full of light, and it's located in a really fun neighborhood. After dropping our bags for safekeeping, we headed out for a day of exploring. Our first stop was the 9/11 Memorial. Admission to the memorial is limited, so we made sure to reserve a spot to visit months ahead of our trip. We arrived at the appointed time and were quickly ushered through a very thorough security screening area, then on to the memorial itself. It’s hard to adequately put into words the feelings we experienced when we stepped into the memorial area. Words that come to mind are: reverent, surreal, somber and renewal. 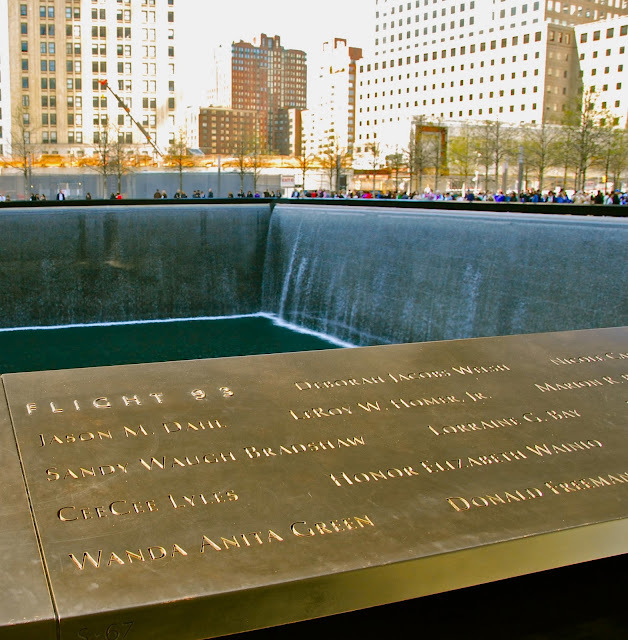 To stand in front of the huge reflecting pools, located where the Twin Towers once stood…and fell…caused a wave of many different emotions at once. We spent an hour walking around the grounds, reading the engraved names of those who died that day. Some of the names were familiar from watching the news coverage during that time, but most were not. We reflected, talking about that day and how it changed our lives -- and our country -- forever. I’m so glad that we were able to visit this important memorial to freedom and renewal. 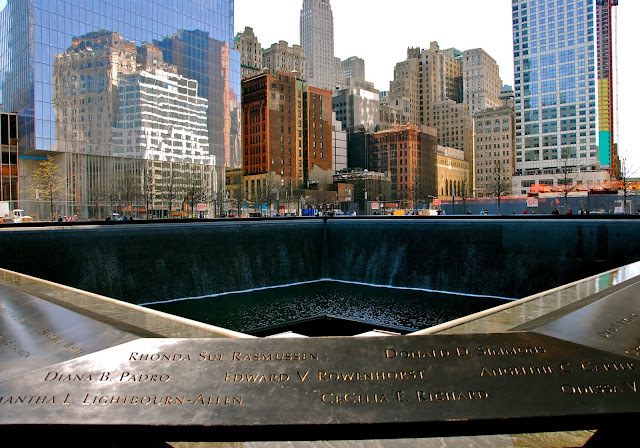 Traveler's Tip: Entrance to the 9/11 Memorial is limited while construction continues, so make sure to go to their website as early as possible to reserve a spot. They will e-mail your entry tickets to you. The more time you allot -- especially during peak travel season -- the more likely you are to find an opening. For our late April trip, I reserved our tickets in late December. After our time at the 9/11 Memorial was over, it was time to head to lunch at Motorino, widely considered one of the best pizzas in the city. We hopped in a cab and headed to The Village, arriving just ahead of the lunch crowd. We ordered sodas and two pizzas: the Soppressata Picante and the Margherita with added meatballs. While we waited for the pizza to arrive, we enjoyed the roasted mortadella with pistachio appetizer. I had never had mortadella, and this appetizer was eye-opening: roasted mortadella topped with tomatoes, spices and pistachio. Our pizzas were amazing – perfectly thin wood-fired crust, just the right amount of sauce, fresh mozzarella and perfectly spiced meats. 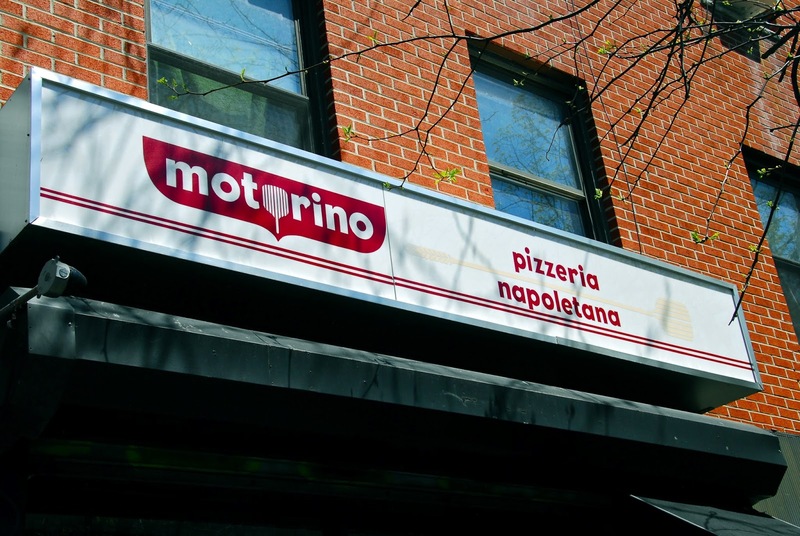 Traveler’s Tip: Motorino is very popular and has limited seating. Our suggestion is to arrive early or late to beat the inevitable crowds. 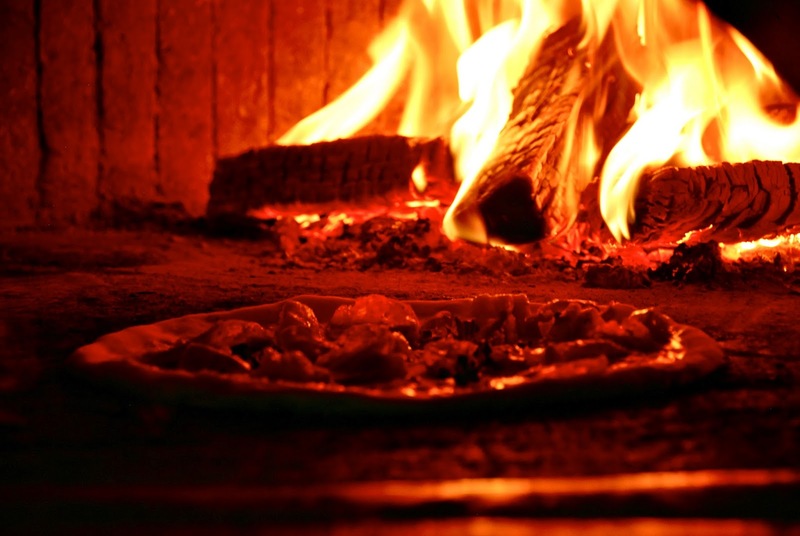 Your can also take your pizza to go and find a nice bench or nearby park to enjoy your pizza. 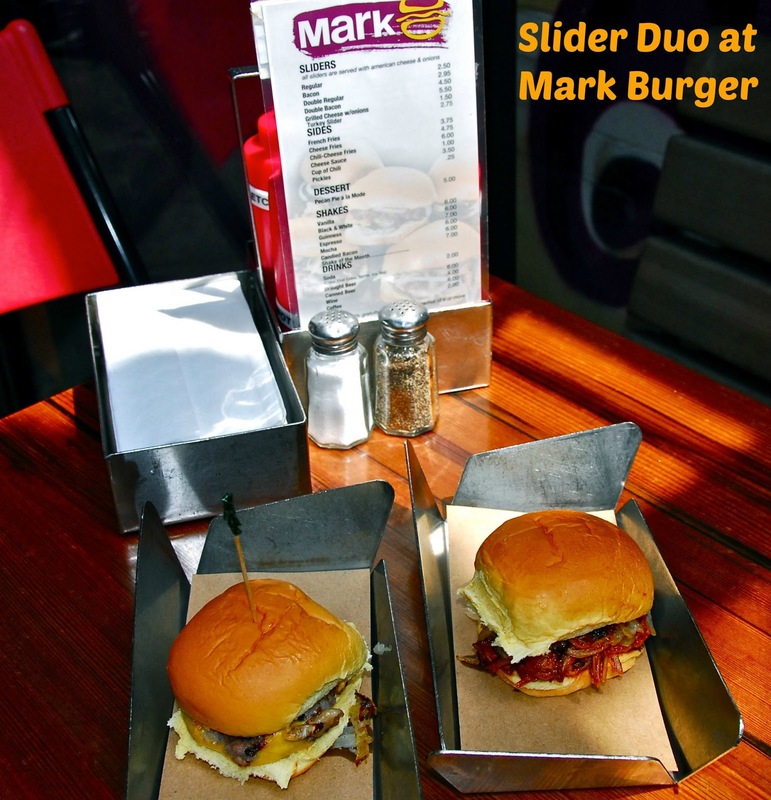 From Motorino, we headed to Mark Burger in the East Village to sample their sliders and milkshakes. This place is casual and fun, with delicious well-priced food. It’s a great little spot located on a funky street. The bacon-onion cheeseburger and pulled pork sliders were tasty and perfectly portioned for a light afternoon bite. And the milkshakes? Amazing. 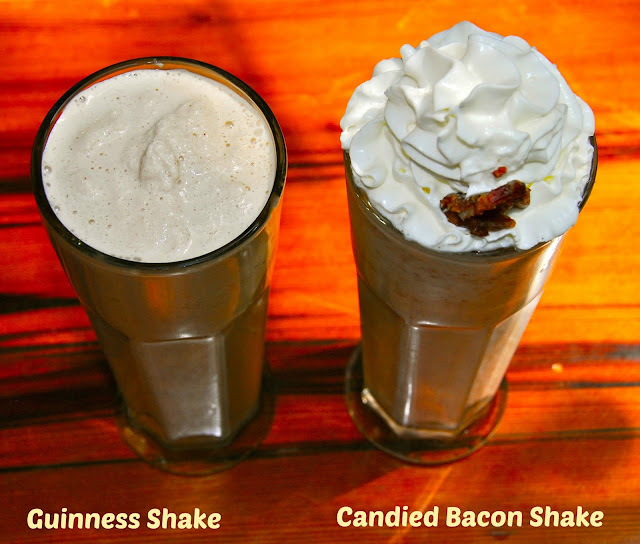 We had the Guinness shake and the candied bacon shake. Both were rich and full of grown-up flavor. Beer lovers will especially enjoy the Guinness shake: part sweet and creamy, part hoppy beer goodness. I’m a bacon lover, so I found the candied bacon shake right up my alley. Yes, it was over the top…but vacations aren’t about counting calories! We explored the city some more, ending up at Madison Square Park in the late afternoon. It’s a gorgeous city park, and it’s also the location of the original Shake Shack, which opened in 2004. We weren't super hungry, but we stopped in to share a ShackBurger, fries and a drink. We enjoyed some people watching in the park too! 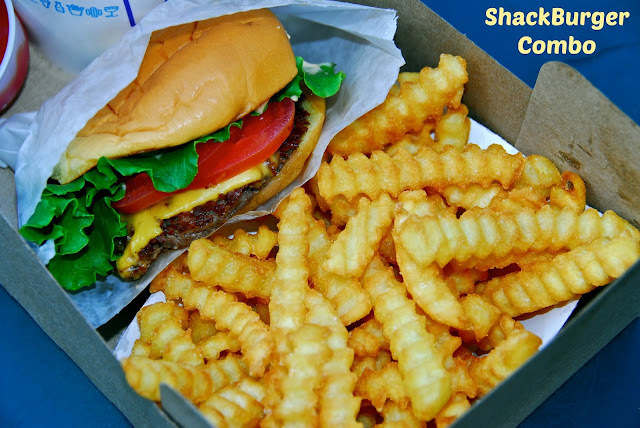 It was a lovely Spring afternoon…judging from the line of people waiting to order burgers, we’re not the only Shack fanatics! A ShackBurger is one of our must-have foods anytime we’re in New York. The quality of the ingredients is what separates Shake Shack from other hamburger restaurants. Their food is are consistently delicious and well prepared! Enjoying it al fresco on a gorgeous Spring afternoon was a fabulous bonus. Traveler’s Hint: By mixing in a few less-expensive – but high-quality meals – like the burgers you’ll find at Mark Burger and Shake Shack, you can stretch your vacation food budget. We like to mix in at least one inexpensive, casual meal each day. That allows us to work a couple of splurge meals into our budget. We left Shake Shack stuffed and happy and walked a few short blocks back to The Giraffe to rest for a bit and get cleaned up for dinner. We stayed in a large suite, complete with a balcony overlooking the city below. We loved the city views that the balcony afforded us! The living area featured a comfy couch and flat-screen television, the bathroom was spacious, and the bedroom featured a comfy king-size bed and an iPod dock. In my opinion, you can't go wrong with The Giraffe. 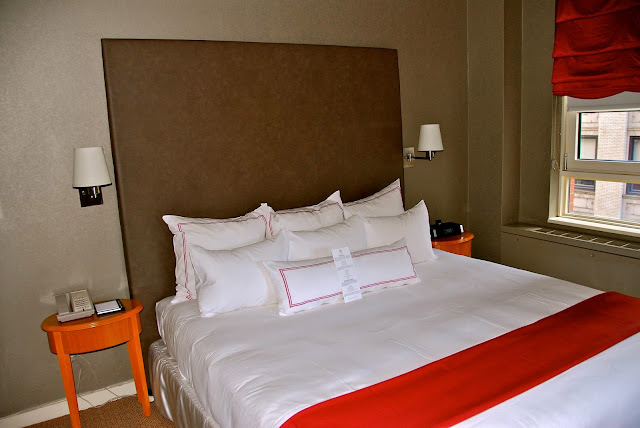 We absolutely loved staying here! After a quick glass of wine in the lobby with the Library Hotel Collection's Marketing Director, we headed out for an evening of fun...and more food. We made our way back to The Village, to Murray’s Cheese Bar. Murray’s Cheese Shop, located on Bleecker Street, is legendary among cheese lovers. They opened Murray’s Cheese Bar last Summer. 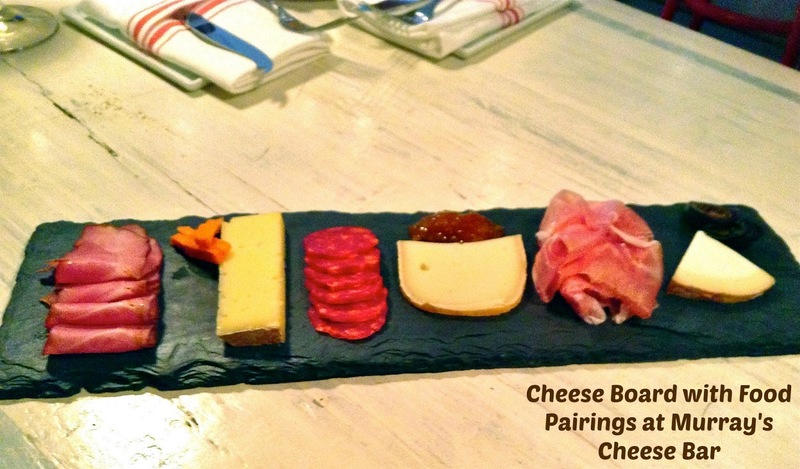 It serves amazing artisinal cheese plates from the Murray's legendary cheese selections. The cheeses can be paired with wines or craft beer. They also offer a wide range of cheese-centric appetizers and entrees. We stopped in for The Cheesemonger's Choice, which featured three cheeses, three meats, and flavor pairings like jelly or dried fruits. The cheese board was paired with a refreshing sweet Riesling. 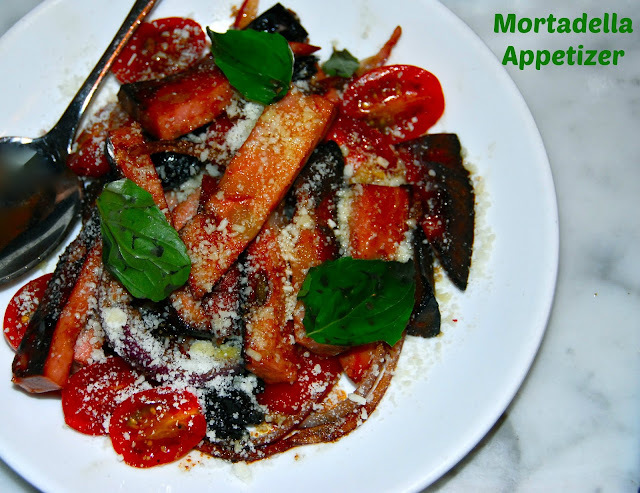 It was a flavorful and educational experience! To have an expert cheesemonger who really knows their stuff personally hand-select some great cheese and accompaniments for you is really fun. After we had our fill of cheese and wine, we headed back toward The Giraffe...making a pit stop at Eataly. If it's a food product and comes from Italy? You'll find it at Eataly. Food lovers can buy fresh cheese, produce and meats. There are also several food stations and restaurants. We wandered around for a bit, soaking in the sights and smells that seemed to greet us every time we turned a corner. 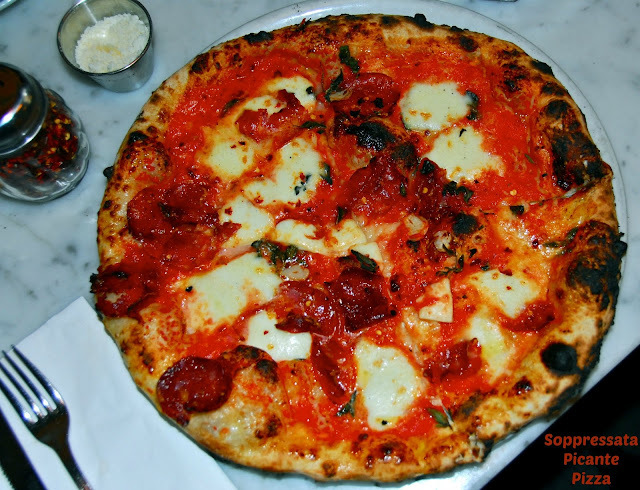 If we hadn't been so full, we could've spent hours noshing our way around Eataly, which we plan to do on our next trip! This time, I visited the coffee bar and sweets area with a fellow food writer who lives in Brooklyn. The pastries were beautiful, delicious, and fresh...and the coffee was sufficiently strong. Then, she invited us to join her for a late-night bite up the street at Beecher's Cheese. It took us all of a nanosecond to say yes! 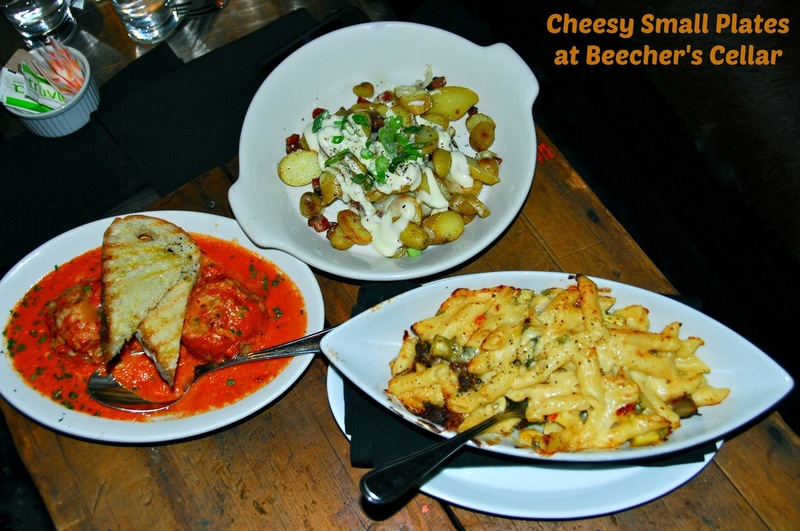 Beecher's is one of our favorite cheeses, and they have a large cheese shop and lower-level restaurant called The Cellar. We descended the stairs to a dimly lit, cavernous room. We quickly found seats on a comfy couch and looked over the menu. We heard and felt a rumble, and my friend explained that was the nearby subway moving on the tracks near the restaurant. That's something we just don't get to experience in Texas! We weren't very hungry, so we ordered three small plates: Meatballs with Cheese Curds; "World's Best" Mac and Cheese; and Sliced Fingerlings with Bacon, Scallion, Flagship Cheddar, and Aioli. All three were cheesy goodness, and the perfect ending to our cheese-centered evening of dining! We bid our friend goodbye and walked a few blocks back to our suite at The Giraffe. It was a cool late-Spring evening, so we took our time walking back. We wanted to soak up the city lights and the cool night breeze! When we returned to our room, we opened up our the French doors to our balcony and admired the nighttime view of the city below us. We turned in, eagerly anticipating what new adventures we would find in The Big Apple the next day. Disclosure: The hotels and restaurants featured in this article provided us with complimentary meals and lodging to facilitate inclusion in this travelogue. The only exceptions to this are Eataly and Beecher's Cellar. The opinions expressed are my own, and all photographs are copyrighted by Michael K. Garcia. They may not be shared, copied or otherwise used without permission.